In another crisis at a giant but star-crossed oilfield, Kazakhstan’s Kashagan will be shut for at least two years while specialty pipelines are made to resist the unforeseen impact of toxic gas, according to a source close to the project. The costly new lines—probably with a nickel alloy—will replace two 55-mile pipelines, one for oil, one for gas. Already, $50 billion has been spent, and the rework means a delay in billions of dollars in cashflow expected by Kazakhstan itself and major oil companies including ExxonMobil, Shell, Eni, and France’s Total. Kashagan contains an estimated 13 billion barrels of recoverable oil reserves. It remains to be seen how oil and stock markets will react to the news, as at least some of the blow is already built in to prices: Kashagan, which was contractually required to begin production in 2005 and rise to about 1.6 million barrels a day, began to produce at a daily rate of 75, 000 barrels on Sept. 11. But the companies shut it down a month later when gas began to leak from the natural gas line leading from the offshore field to an onshore processing plant. Spokesmen for ExxonMobil and Shell referred questions to Eni, Kashagan’s operator, which did not respond immediately to a request for comment. But the source close to the project said that Shell began a few days ago to notify its employees and contractors of the news of the long delay to restart the field. The problem is poisonous and corrosive hydrogen sulfide, or H2S. Some 17% of the natural gas contained within the oilfield is comprised of H2S. That has meant the use of pipelines that resist the H2S corrosion. 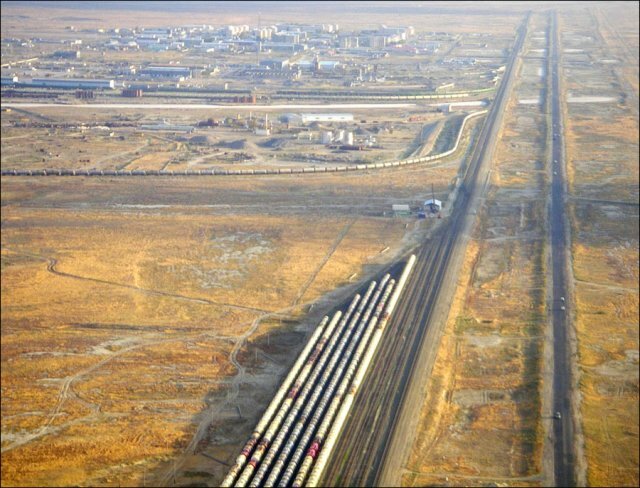 The Kashagan consortium has said that cracks appeared in the pipeline, a result of the hardness of the steel and the exposure of H2S to water. Barry Hindin, a corrosion engineer at Battelle Memorial Institute, told Quartz that to best resist H2S the pipeline should be made of a nickel-based alloy, but that such steels can cost 10 and even 15 times that of ordinary pipeline. He said that another crucial issue is properly welding the pipelines together. Welding causes the steel nearest the weld to lose its “ductility, ” or toughness against cracking, so that a post-weld heat treatment is necessary. If the steel is too hard, it can become susceptible to embrittlement, he said. “It is a problem welders always encounter, ” Hindin said.